In the United States, most pets in pet stores come from mills – the most inhuman and unhealthy breeding grounds for pets. They are forced to stay in cramped cages and aren’t fed well, for the only motto of the mill owners is to mint profits from the sale of their animals. A pet buyer doesn’t even come to know if the pet they are buying has been grown up in such appalling conditions. Moreover, the chances of a pet infested with some kind of a disease is more when you buy them from a pet store. Therefore, it is better to adopt a pet rather than buying one. There are so many dog shelters with pets abandoned by their owners, seeking for more caring parents to look after them. Adopt these pets and they will be thankful to you. Other Good Reasons to Adopt a pet. • Adopting is less expensive: Local shelters let you adopt a pet in almost half the price that you would pay in a pet store. • Shelter pets are housebroken: That is so good. You don’t need to potty train them for they would have already been trained from their previous owners. • It gives another chance to pets to enjoy a happy, caring company: We never know how the previous guardians of the pet were. Probably adopting a pet from the shelter would erase his bad memories from the past. • Pets in shelters are trained: Local shelters mostly house pets that had lived with families and thus, respond well to the commands without exhibiting any aversion. • Adopted pets from shelters are vaccinated: All the animals in a pet shelter are made available for adoption only once they have received the core vaccines. And, are kept under vigilance. • Save them from misery: You can buy them life by adopting. Pets that are not adopted or have contracted severe disease are euthanized to avoid the spread of infection to other animals. Moreover, it makes space for other animals to be sheltered. So, save them and make space for other pets to join the shelter without having someone to be sacrificed. • Show your support against animal cruelty: Mills are petrifying and devastating to animals’ health. This tyrannous breeding ground which functions against animal right to kindness. Thus, must be abolished. 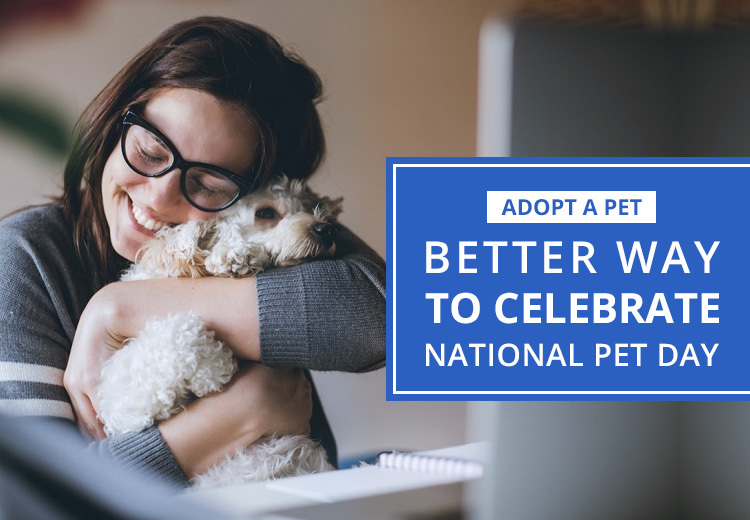 By adopting a pet from a shelter rather than buying from a pet store, you extend your support towards betterment of animals.